Got an Instagram account? We’re glad you’re on it. Instagram is undeniably one of the coolest social platforms out there right now. Instagram is so cool that so many people around the world are using it not only to connect with the world, but also to promote themselves, or their businesses. You can do the same, too! Whether you are a business owner, a blogger, or an aspiring artist looking to connect with different target audiences, having a second Instagram account is definitely a great idea. Hey, we are not going to stop you from creating an account for your pet cat if that is what you are thinking of doing! Go ahead and have multiple Instagram accounts if you like. Creating them will not take much of your time, anyway. The good news is you can manage all of your Instagram accounts on your smartphone — yes, all on one device. That means juggling with multiple Instagram accounts does not have to be frustrating, or confusing. Your Instagram log in and log out for multiple Instagram accounts is going to be quick and easy. In this article, we will show you how to create another Instagram account, how to switch from one account to another, and how to remove the account(s) you have added. 1. Open the Instagram app to log into your current account. 2. Go to your profile and tap on the 3-horizontal-line icon at the top right corner of your screen, or swipe left to find Settings(gear icon) at the bottom of the screen. Tap on the icon. 3. Scroll your way down until you see the Add Account option at the bottom of the screen. Tap on it. 4. Click on the Sign Up option at the bottom of the screen. You will see two options: sign up with phone number, or email address. You can create your account using Facebook provided that the Facebook account you want to use has a different email address from the one you used to create your primary Instagram account. Note: If you choose to sign up with email, a link will be sent to your email that will require you to confirm your email address. If you choose to sign up with your phone number, then you will need to wait for a verification code to be sent to you and enter it later in order to complete your registration. 5. Once you have registered a new Instagram account, fill in your profile photo, name and password. You will also need to create a unique username for your new account. 6. By now you should already be logged into your new Instagram account. You can simply switch from secondary account to your primary account whenever you like. 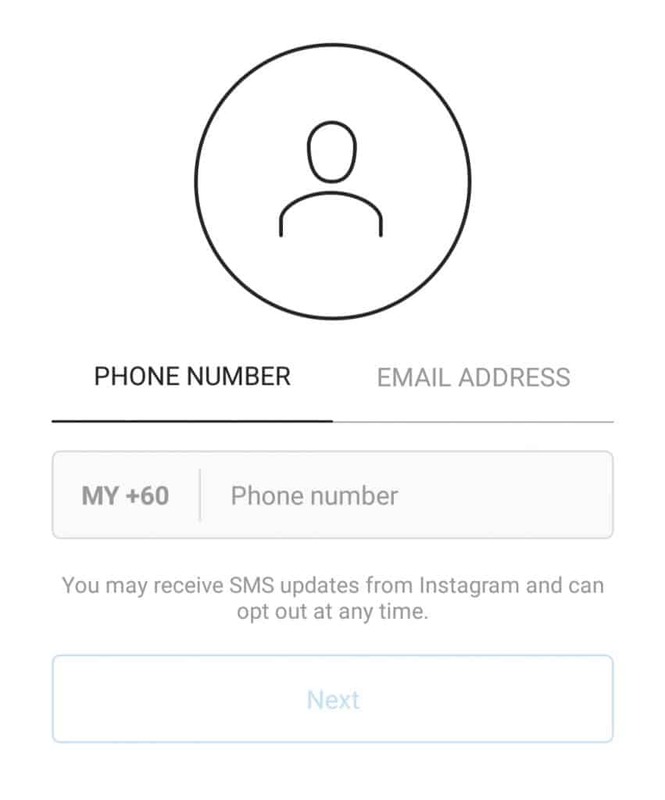 When signing up for a new Instagram account via email or phone number, be sure that the email address or phone number you want to use is different from the one you are using for your primary Instagram account. Once you have another Instagram account, you should be able to switch between your Instagram accounts easily as long as you have updated your Instagram app to the latest version. If you still cannot use the switch account feature even when you are using the latest version of the Instagram app, then try deleting and reinstalling the app to fix the issue. Once you are able to add your new Instagram account, you will not need to log in and log out every time you want to switch from one account to another. 1. Go to your profile and tap on the 3-horizontal-line icon at the top right corner of your screen, or swipe left to find Settings(gear icon) at the bottom of the screen. Tap on the icon. 2. Scroll down until you see the Add Account option at the bottom of the screen. 3. Enter the username and password of the Instagram account you want to add, or just lnstagram log in via Facebook if that is how you have chosen to log into your account. 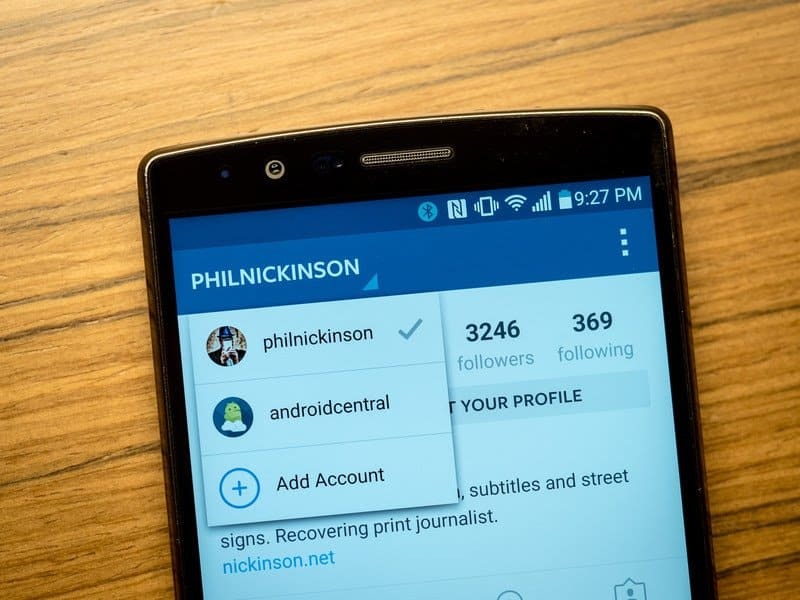 On one device, you can add up to five Instagram accounts. 2. Tap on your username which can be found at the very top of your screen. You should be able to see your other Instagram accounts. 3. Tap on the Instagram account you wish to switch to. Alternatively, you can switch accounts from any tab via your profile picture at the bottom left. You will be able to know on which Instagram account you are on as you will be able to see the profile picture of the account you are using. Cool, right? There is no need for you to log in and log out every time you need to switch from one Instagram account to another. Indeed, Instagram log in is quick and easy now. Maybe having more than one Instagram account is a little too much for you to handle. We get it — social media can be quite noisy sometimes. Luckily, removing an extra Instagram account is not difficult at all. So if you no longer need the Instagram account you have added, you can always remove it. But first, you must log out from the Instagram account. Go to your Instagram profile and make sure you have already switched to the account you want to remove. Go to Settings. You can find the steps to finding it from the steps shown earlier. Scroll down until you see the Log out of (username) or Log out of All Accounts option at the bottom of the screen. Choosing the second option will automatically remove all the accounts you have added before. Now that you have learned how to add Instagram accounts and switch between them, are you going to give Instagram switching a go? We do hope that it will enhance your Instagram experience.